Never heard of pickled beats before (foreign foreigner is foreign). I tried to google some recipes and only got confused with how different they were. 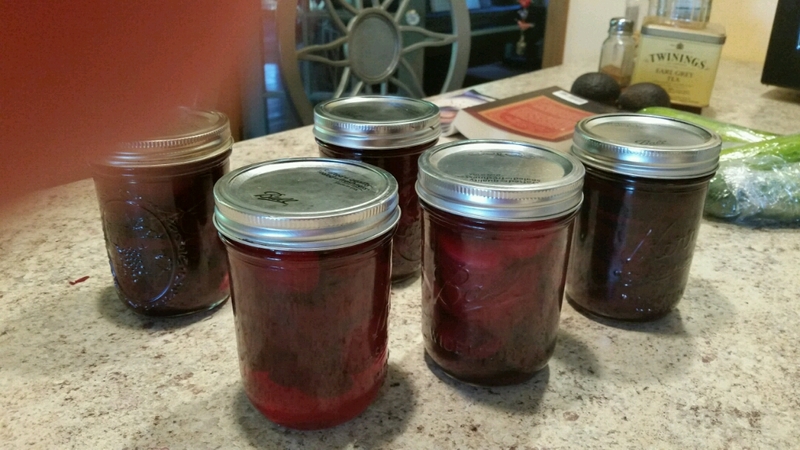 We don't are not fans of beets here anyway, but just out of curiosity, do you make yours with plenty of sugar, or more like regular pickles? Not a lot of sugar, more tart like regular pickles and only spice used this year was cinammon sticks.